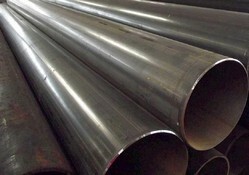 We are a leading Exporter of carbon steel from Mumbai, India. We are a prominent importer, supplier, stockiest and trader of Carbon Steel , which is lauded for simple maintenance, perfect construction, durability and incredible tensile strength. The offered bar is formed using top quality components and modern machines, in accordance with strict industrial parameters. Our bar is highly demanded by clients due to cost effectiveness and excellent corrosion resistance. Moreover, this Carbon Steel goes through stringent quality checking procedures before the final dispatch.